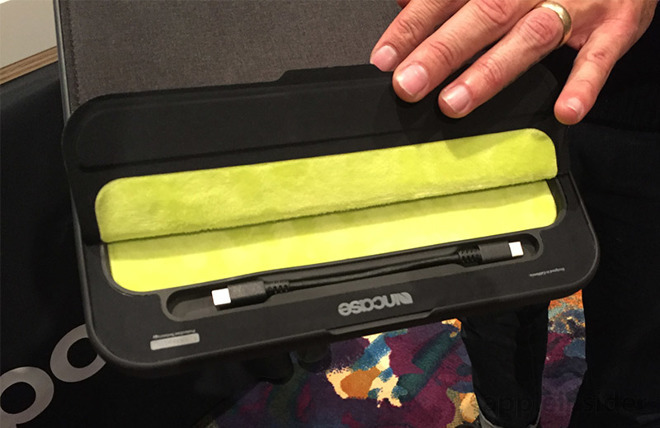 Mobile power users have a new integrated power and protection option with Incase's latest batteries-included MacBook Pro sleeve. The IconConnected ships with a 14,000 mAh power bank built into the edge of the case. Incase says that should get MacBook Pro owners through "more than one full charge" of the laptop's internal battery. Thoughtfully, the company has also included both USB-A and USB-C ports for charging versatility. Unfortunately, the location of those ports may be a sticking point for potential buyers. Both ports are located on the outside of the sleeve, and Incase told AppleInsider that while charging your laptop inside the sleeve is possible, it's not recommended. 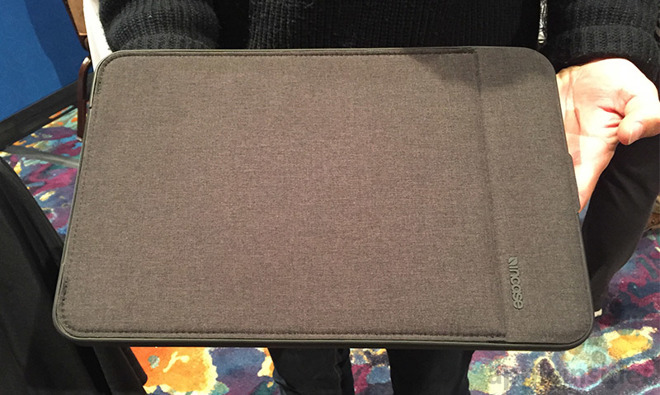 The Incase IconConnected Power Sleeve for MacBook Pro will be available later this year for an impressive $199.95. Versions for both Apple's 13-inch and 15-inch MacBook Pro will be on offer.